Marketers are finding it increasingly difficult these days to promote concert venues. Given the huge costs involved in advertising many people are left helpless. However there is a solution out there for you. SMS marketing is one such tool through which you can efficiently advertise concert venues at just a fraction of the cost of traditional advertising. Let’s discuss some SMS marketing ideas that you can implement to sell out your concert venues. The audience firstly needs to be made aware about the location of the concert venue. Use the texting service to share key information which may be necessary for the music lovers. You may even mention any specific artists who have previously performed at the venue. Mention the capacity and other elements as well. Try to offer something to the customer that he finds hard to turn down. You can send SMS marketing messages offering exclusive deals. These deals may include special discounts on bulk buying or a discount for those who make the first 100 purchases. You can be as innovative as you want when it comes to SMS marketing. Backstage access is something that every fan dreams of. You can provide them this experience using this service. Start a contest or competition with the winner being awarded the passes. This will engage the customers and also increase your revenue. You can start a polling session through SMS marketing. Empower the audience by giving them the decision making ability. You could start a campaign to select the theme of the concert venue. By making the customers feel important you are giving them value, it is something that will be appreciated and should result in positive customer response. You can ask customers to forward the messages so that you get more audience at the concert. Use promo codes so that you know who has sent the most, reward these people with discounts and other benefits. 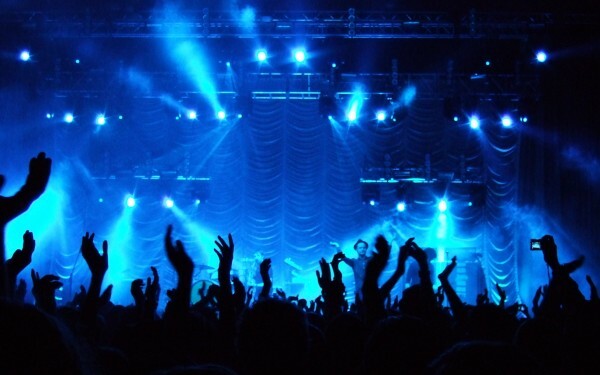 The referral system is a great way to increase audience at a concert venue. SMS marketing is the ideal solution for concert venues. It allows business managers to get larger crowds in at a very cheap cost. If you are thinking of which medium to use to market your venue then you should definitely be considering SMS marketing. It is one medium that won’t let you down and is a great investment for any business out there today.